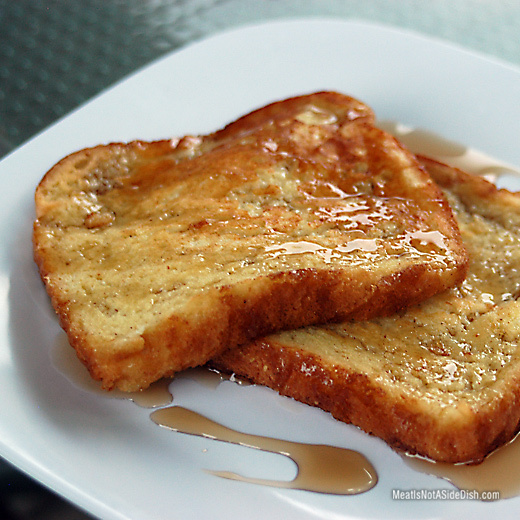 To make French Toast, beat together eggs, milk, salt, cinnamon and vanilla. In a separate bowl, heat honey in microwave for ~10 seconds then combine with melted butter. Whisk butter mixture slowly into the egg mixture until combined. Heat flat griddle. Dip bread one piece at a time into egg mixture coating both sides. Cook on heated griddle until each side is browned. Serve with syrup or plain.